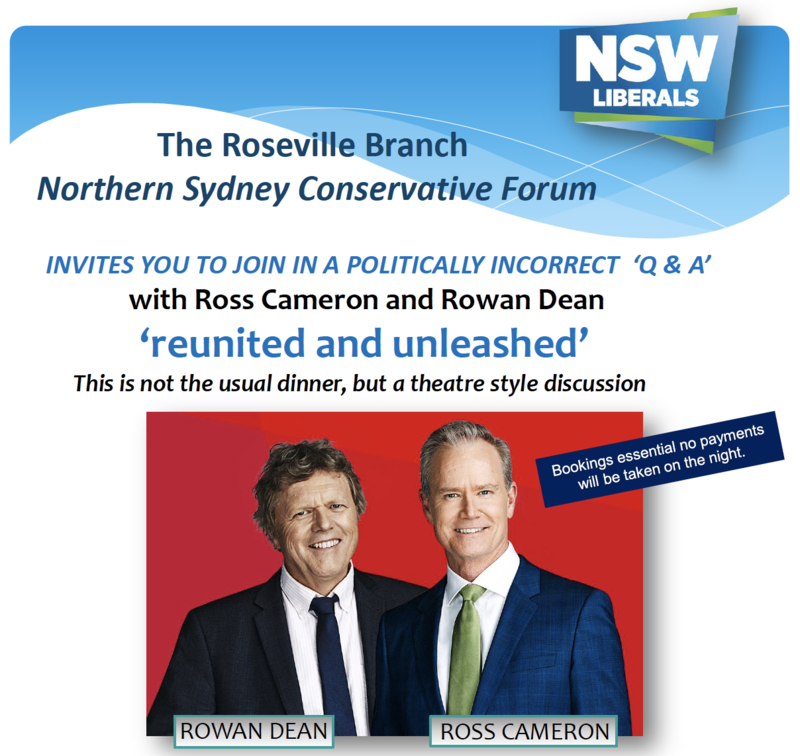 Roseville Branch of the Liberal Party & Northern Sydney Conservative Forum – Information, news and events for the Roseville Branch and Northern Sydney Conservative Forum. Sydney, Australia. 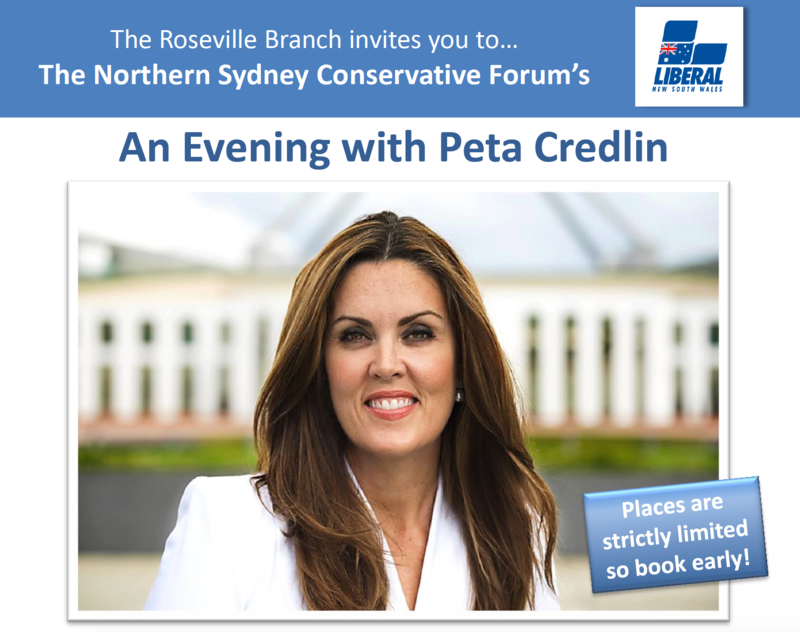 Monday, 8th October – 7:30pm – AN EVENT NOT TO BE MISSED! Click here to download the flyer and secure your place! 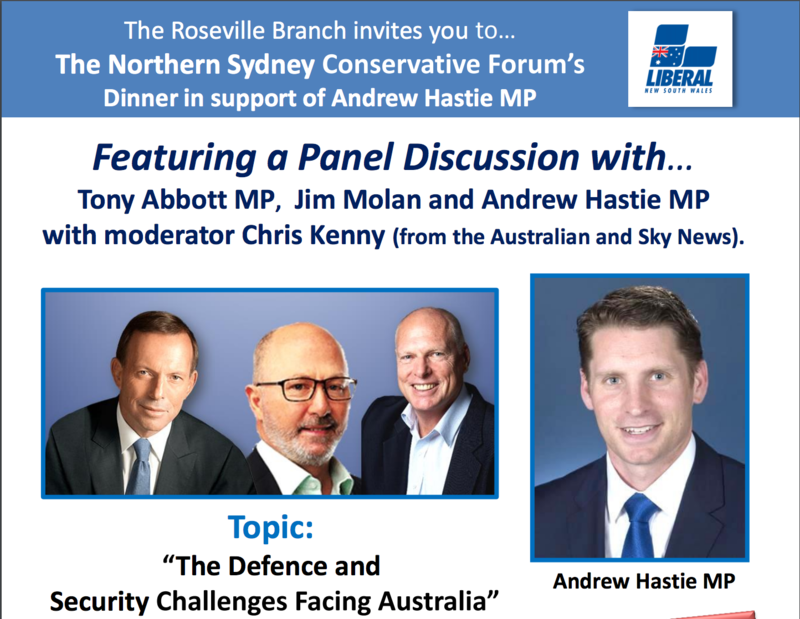 The Roseville Branch of the Liberal Party are pleased to invite you to our next function with special guests Tony Abbott MP, Jim Molan and Andrew Hastie MP! Tuesday, 27th October – 7:30pm – AN EVENT NOT TO BE MISSED! 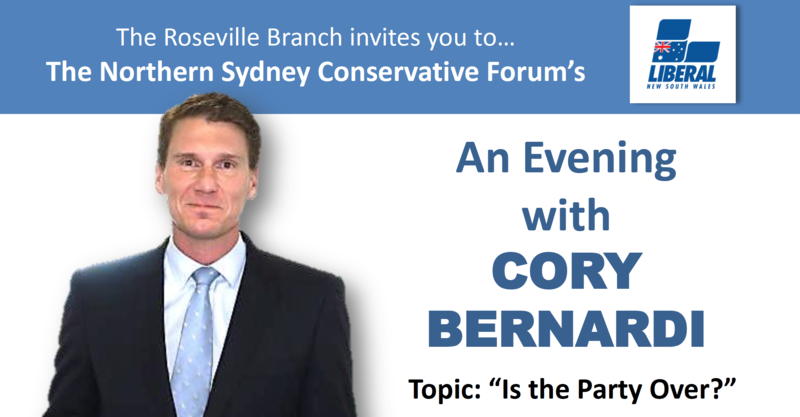 The Roseville Branch of the Liberal Party are pleased to invite you to our next function with special guest Cory Bernardi! 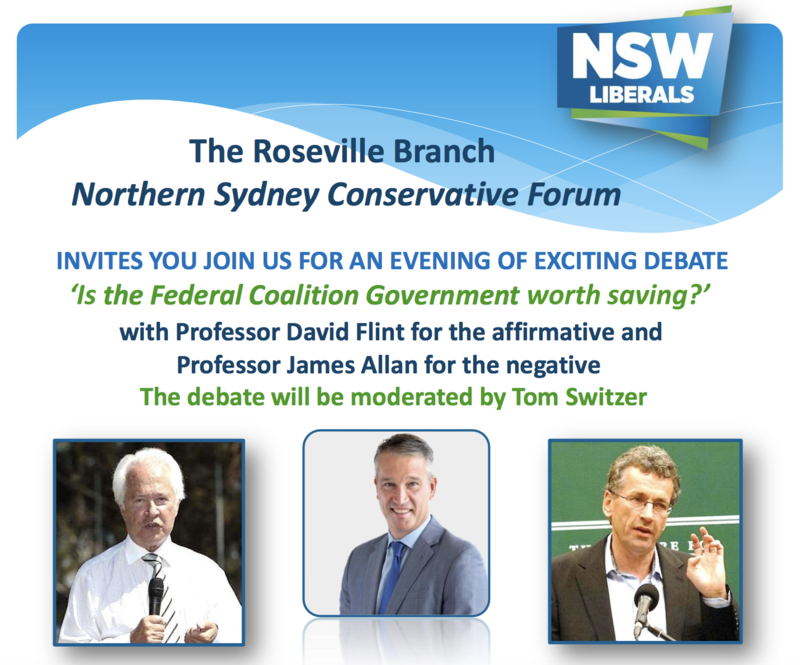 Tuesday, 29th August – 7:30pm – AN EVENT NOT TO BE MISSED! 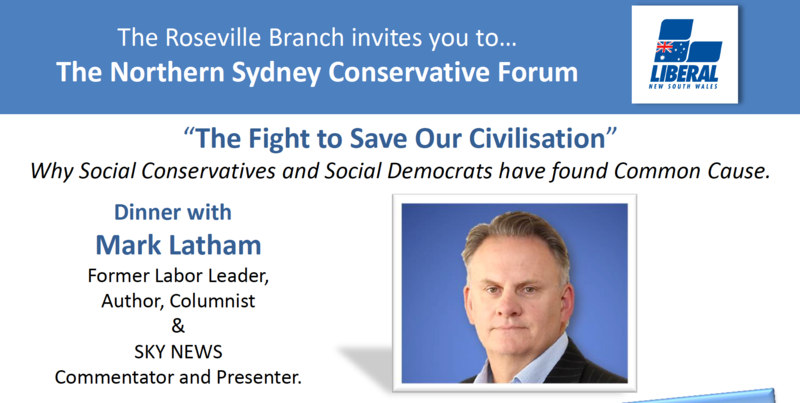 The Roseville branch of the Liberal Party are pleased to invite you to our next event with special guest Mark Latham! Wednesday, 22nd February – 7:30pm – AN EVENT NOT TO BE MISSED! Wednesday, 22nd June – 7:30pm – AN EVENT NOT TO BE MISSED! Keep informed about news and upcoming events! Subscribe to our mailing list by filling out the form below!